The VPCEA22FX is a member of the Sony VAIO EA series that it touts as general -purpose, medium size and affordable laptops that also come with a full choice of individual customization. They come in posh color finishes like blue, purple, green and pink. You can also own one in a glossy black two -tone finishing. But all those color finishes will set you back about $50, or you can forego all that beauty for a free basic matte black. The EA series series of laptops is neither bulky nor slender, it trends in the middle. The VPCEA22FX is powered by intel i3 dual -core 350M processor that speeds at an impressive 2260 MHz. 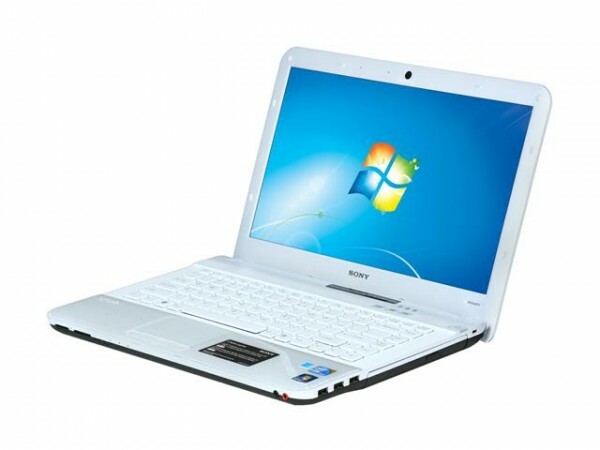 It comes with a pre -installed 4 GB of RAM DDR3 memory that can be beefed to an impressive 8 GB capacity. The storage come in the form of a single hard disk drive that carries a total size of 500 GB and an impressive speed of 5400 rpm. The storage arsenal is further bolstered by a memory stick, an SD/MMC Card, and an SDHC Card. You also get Express Card in the mix. The machine bestores you with integrated graphics chipset GMA HD core i3 from intel. Sony gives you the option of beefing beefing the graphics with either a Radeon Mobility 5470 that will cost you an extra $50, alternatively, you can double the bill to $100 and get the Radeon Mobility 5650. For those who have a bias for gaming , the second option is advised. Those who don’t go for the add -ons will have to contend with the HD GPU from intel will serve them well for basic computing chores and normal video experience( standard -definition ), but you will forego top notch teatment like premium high -definition and quality gaming experience. The VPCEA22FX operates with Microsoft Windows 7 Home Edition. You also get Office 2010 Starter trialware and Norton Internet Security, together with the Shutterfly Web shortcut. Sony also thows in a default Chrome Web browser, but not at the cost of Internet Explorer 8. You will get a pretty usefu pre -installed VIAO Care software that allows you to access, find, fix, retrieve and restore your data. Other software include; ArcSoft Webcam, Evernote and Roxio Easy Creativity Suite. The model also provides you with Sony media application gallery that is just cool. The keyboard is pretty good, with suprisingly nice chiclet -style keys coupled with quality feedback. The trackpad comes with a smooth and slightly textured experience. It has two buttons underneath it that are easy to use. The machine comes with four USB 2.0 ports, Hdmi and VGA video interface, bundled with Bluetooth and eSATA. But you will not get Firewire port. Networking is provided by 10/100/1000 mbps and 802.11n/b/g Wi-Fi. It weighs 5 pounds and tops 5.6 pounds when fully ensuite. It covers 13.6 inches in length, 9.4 inches in depth and a height of 1.4 inches. The VPCEA22FX price range from $699 to $849( as of 5 october, 2010) depending on the afformentioned color treatment and GPU add ons. That makes it rather expensive, but it always pays to get quality.